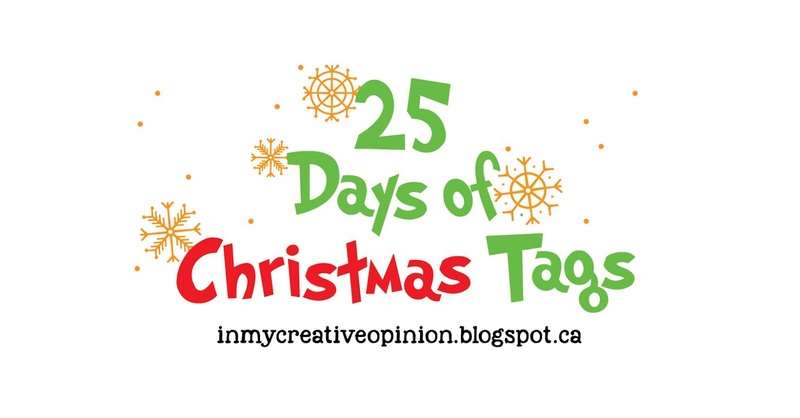 Welcome to Day 9 of The 25 Tags of Christmas Tags 2018. If you are just arriving for the first time, all the details and the linkup can be found HERE. 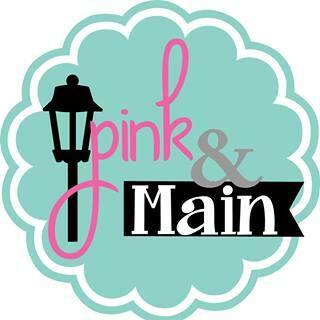 Our sponsor for Day 9 is Pink & Main. What could be better for a beachy Christmas than Deck the Palms Stamps and coordinating Deck the Palms Dies? Perfect for me, as I live in a beach town, chock full of palm trees. 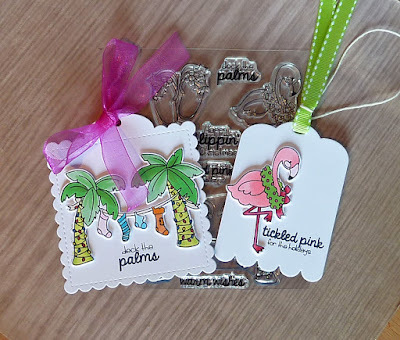 I could not decide which stamp to feature on my tag--the decorated palm trees with the hanging laundry, or the flamingo wearing a wreath necklace. Why decide? I made one of each. Believe it or not, palm trees decorated with Christmas lights is a pretty common sight in San Diego. Not sure I could say the same about the flamingo, but I thought it was super cute anyway. Great tags - love the colouring on them. They definitely would be fun to add on gifts sent to warmer climates than mine! These are great Joyce, definitely perfect for those living in a warmer climate. Such fun colors! I wish I was on the beach! It's snowing here! Joyce...these are just too darn cute! Love your sweet flamingo. oh, Joyce...you have totally ROCKED the Pink &Main stamps/dies with these awesome little tags. You inspire me every day. Thanks so much, and may God bless your day! These are so cute, Joyce! And what a wonderful idea for gifts going to warm weather family or friends. Your coloring is wonderful! I would love to see those festive palm trees! And yes, the flamingo works for me too, so CUTE! Your tropical themed tags are absolutely delightful, Joyce! I'd love to see Christmas lights on palm trees, in real life! One of these days...Your flamingo: charming! So cute. The deck the palms made me smile. These are so darling!! I adore the tropical theme you gave to these cards. So whimsical and FUN!! A beach town, with palm trees... sigh. :D Although I do live near water, it will be frozen soon. So I'll just dream of warmer climes by admiring these two fun tags! 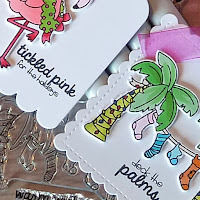 The palm trees with their lights and laundry make me chuckle, and I love the pinks and bright green of the flamingo tag! Love the little square tags. The Florida feel is fun. Don't need snow for Christmas. I love every single one of them! These are fun & perfect for those who love the beach! 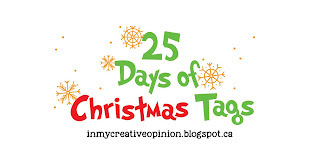 Super fun and tropical tags - so festive and happy! Seriously so cute! When we lived in Vegas I used to love how people decorated the palm trees, too. Adorable tags! The stockings strung between the palm trees is so cute. I would love to have some warm weather for Christmas. 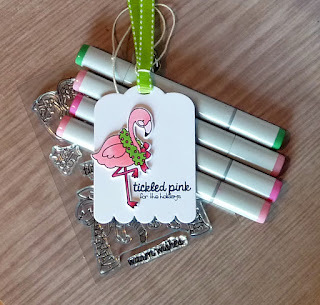 You absolutely for the perfect set to work with for today, your flamingo Christmas Tags are so fun!! Those tropical tags are so cute, Joyce.